Oh hey there spicy bowl of goodness round two! 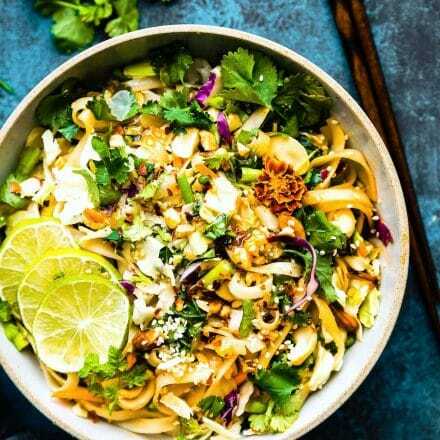 Yes, another dairy free flavorful bowl for you today. Mmm k? This one has a good story. It promise. Yes, it involves Jalapeño Chickpea Mac and Cheese (what we call it) and all the plant based vegan gluten free vibes. YO! So.. 11 years ago I met this cute curly head Kiwi triathlete. Um, my husband. I spent the next year trying to impress him with charm and cooking. Haha. Well..sorta. At the time, we were both living in Hawaii and we often tried to save money by spending a date night in at my place. My 300 square foot hole in the wall place. Fun times! Anyway, this was around the time I first started eating gluten free (for health reasons). OYE!! That was a trial and error yea, for suree. Anyway, I decided to make the kiwi a romantic gluten free pasta dinner for our date night in. My first attempt at gluten feee pasta. I scoured the store for the best looking gluten free pasta noodles only to find 1 brand. One! And it was made with corn and about 20 other ingredients I didn’t know. But I bought it. Plopped it in the pot. And away I went trying to make a gluten free date night dinner. Only to realize that 5 minutes later my pasta was mush. Yes mush. Wanna know the worst part? I served it anyway. Haha. And we laughed. And we “kinda sorta”‘ ate it. Well fast forward a decade and boy gluten free pasta has changed. Thank goodness! I’ve literally tried dozens! And I’m happy to report that the kiwi and I both looooove Chickapea pasta. No mush. Just real past taste because it’s made from chickpeas and lentils. That’s it. Really! No fillers. No corn (phew! ), no grains. And oh so filling. More on that below. 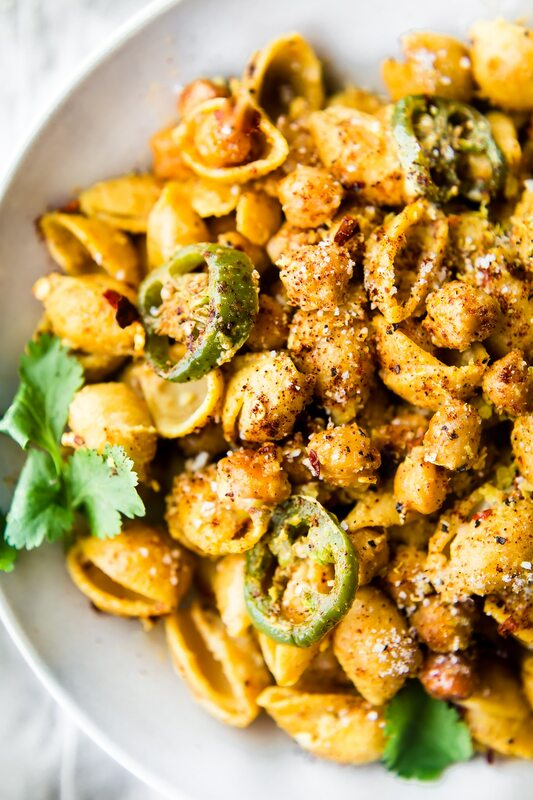 For now, let’s now narrow in on this Vegan Jalapeño Chickpea Mac and Cheese pasta. In relation to that mushy pasta memory mentioned above of course. You see, jalapeño and cheese has been one of my husband’s FAVORITE combos for years. And since we’ve finally found a gluten free pasta that um.. tastes like pasta and doesn’t fall apart, I figured we should revive that memory. You know.. SPICE it up a bit. Because I’m “Cheesy”! Bahaha, yes I just went there. That being said, 10 years later I totally made it up to the kiwi with this new pasta dish. I like to call this Jalapeño Chickpea Mac and Cheese pasta the Cotter Comeback (Welcome back Kotter) pasta dish. If you’re older than 30 hopefully you get that joke. Yes, I’m in an extra loving and nourishing (healing) mood this week. It’s time to rekindle that romance (and that original gluten free pasta recipe), in Spicy Vegan chickpea Mac and Cheese PASTA form ya’ll! So about that Chickapea pasta. Oh how I love thee.. let me count the ways. 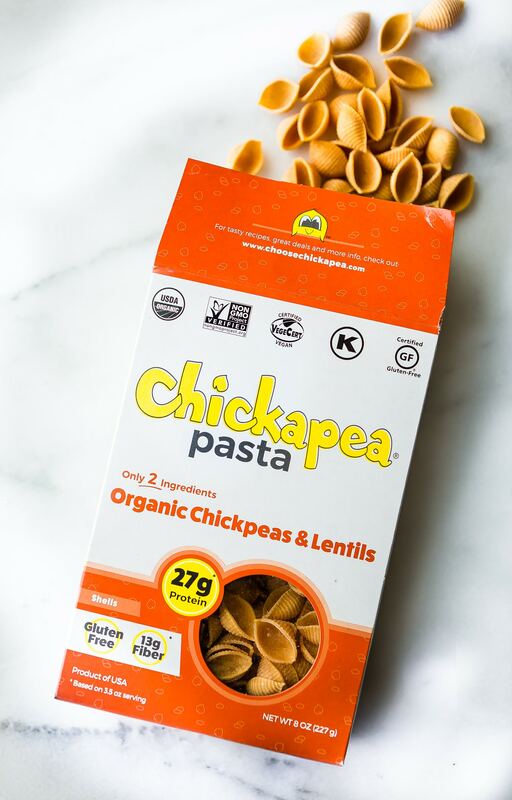 Chickapea pasta is a Gluten Free pasta made with just 2 ingredients…chickpeas and red lentils. 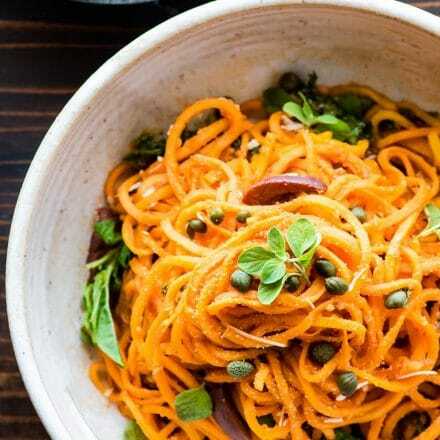 It’s pulses POWER pasta! Did I mention I’m kinda obsessed with pulses? Lentils, beans, aquafaba goodness, etc. Anyway, I don’t know how they do it ya’ll but Chickapea’s 2 ingredient pasta is spot on with texture and taste. Meaning, no weird gummy taste. Ya, impressive is just one of the words that come to mind. It’s gluten free, vegan, organic, kosher and comes packed with 27 grams of protein and 13 grams of fiber per serving. Totally gets my nerdy nutritionist stamp of approval! 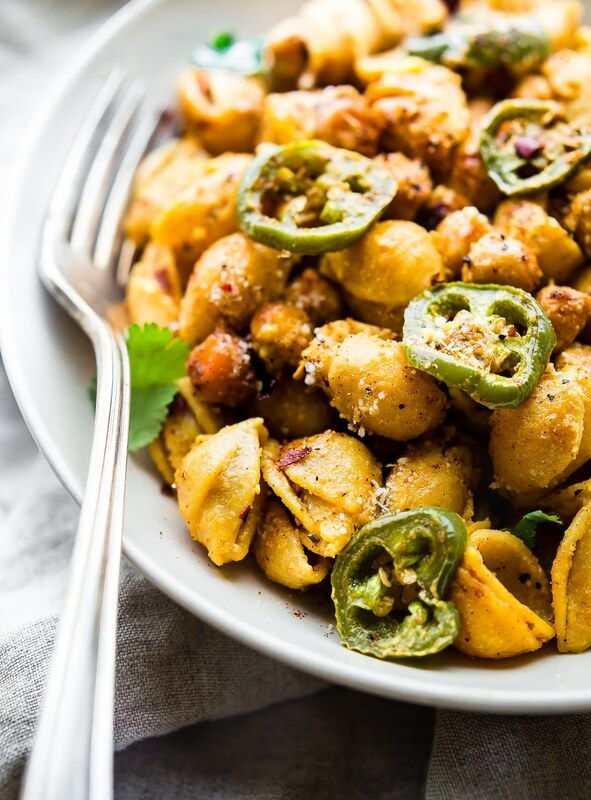 This Mighty Mexican Jalapeño Chickpea Mac and Cheese pasta is a must make. I know, I keep expanding on the title. But stay with me here. All you need to do is spice up those chickpeas, bake with your jalapeños, then toss into the “cheesy” pasta. Simple! The “cheesy” base comes from mixing nutritional yeast with coconut milk as the “cream/cheese” part. And because it’s made with organic lentils and chickpeas, it adds in an even greater source of B Vitamins and Plant based iron! This is a HUGE health perk for vegans and vegetarians! Now who’s hungry? I’v got the chickpea pasta recipe ready to share below! 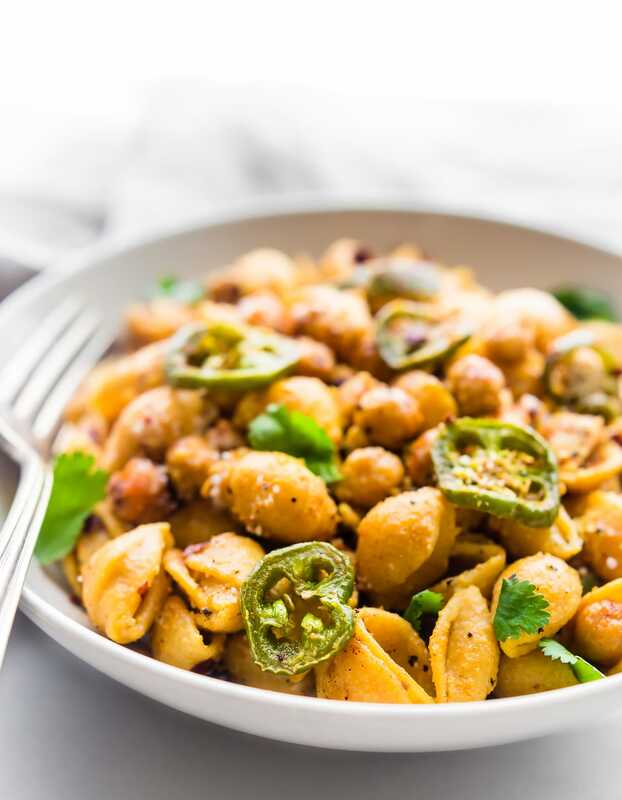 This Vegan Jalapeño Chickpea Mac and Cheese Pasta is gluten free, full of flavor, and ready in under 45 minutes. A healthy hearty plant based meal to feed a family or multiple dinners for two! 2 sliced jalapeños. Keep seeds if you want extra spicy. Cilantro and crushed red pepper to garnish. Optional 2 tbsp taco sauce or Tabasco. Preheat oven 400F. Slice jalpenos 1/4 in to 1/2 inch thick. If you slice them too thick they will cook faster than the time I recommend. Mix, chickpeas, jalapenos, and paprika, cumin, salt/pepper, garlic salt in a bowl with oil. Spread on baking sheet and bake 400F for 15-20 minutes. While that is baking, cook your pasta. Once pasta is cooked, drain and lightly rinse. Add back into the pot with 1 -2 tbsp olive oil and 1/2 tsp garlic minced. Add in 1/4 tsp salt/pepper to taste. Keep heat on low. 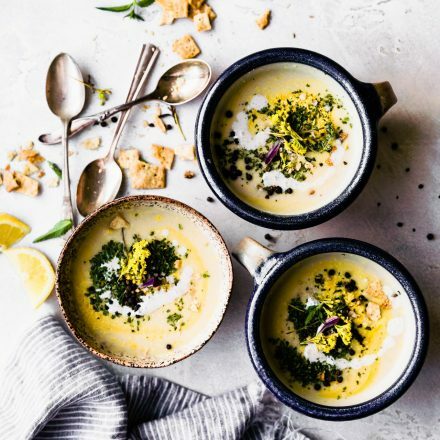 Updated – In another small saucepan, whisk together 3/4 cup coconut or almond milk with 1/4 cup broth or water, 3/4 cup nutritional yeast flakes, 1/2 tsp minced garlic, and 1 tablespoon gluten free flour or starch (tapioca or potato work great). Cook on medium until mixed and thickened “cheesy” sauce is formed. Add a few tablespoons more milk if you need to thin out sauce before adding to pasta. Notes: Depending on the type of pasta you use, you made need to make more sauce. Some pastas absorb the sauce more than others. Add this sauce to your pasta, mix together. 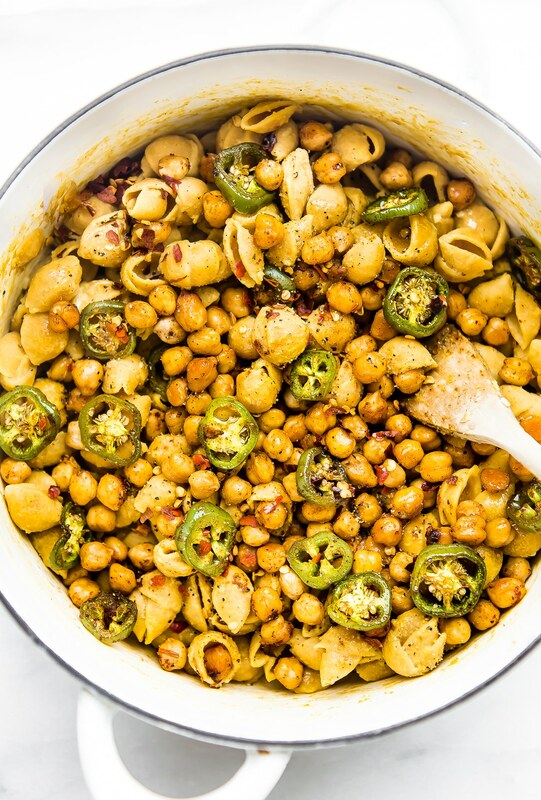 Keep pasta on low or covered until Jalapeño chickpea bake is ready. Once jalapenos/chickpeas are baked, add them to the pasta. Cook all together for 5 minutes on low adding more salt/pepper if desired.. Mix in Optional taco sauce if you want extra Mexican flavor! Serve and garnish with cilantro and chili pepper flakes. If you want a little creamier cheese, check out my Con Queso Cheese Sauce. You could add this would a bit of nutritional yeast. Ya’ll, this dish is perfect for hearty plant based meal or, dare I say it… a quick date night dinner in. SPICY! Ohhh lala! Don’t worry, the red nails are not necessary for the spicy part. Mwah! What’s your favorite gluten free pasta dish? Ever tried spicy chickpeas in your pasta? DO IT! So good! 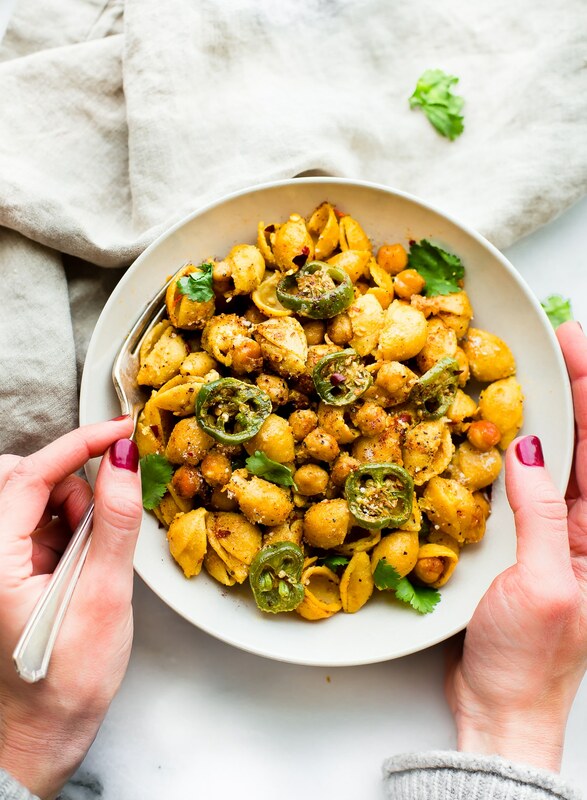 This Jalapeño Chickpea Mac and Cheese Pasta recipe is sponsored by my Chickapea Friends! Thankful they supply us with such quality lentil chickpea pasta and the chance to try out a new nourishing gluten free product. So I commented on this earlier via mobile and got a weird error. Looks completely different on desktop. P.S. 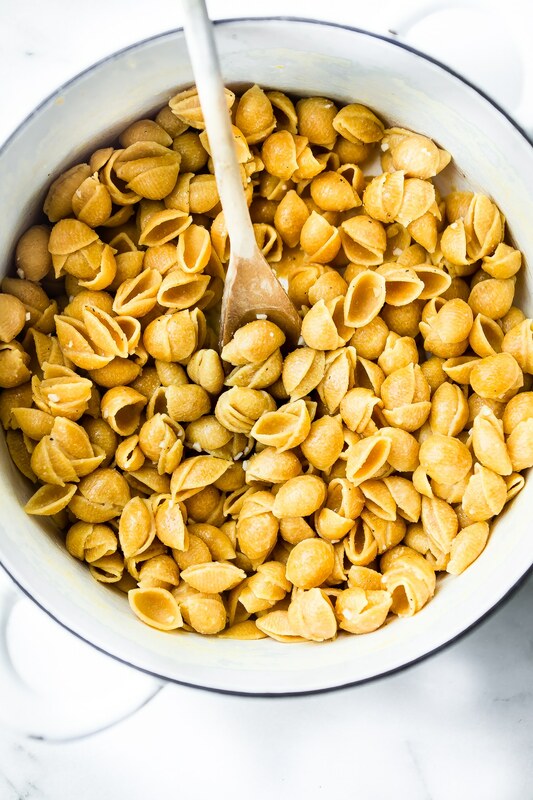 I wanna try these chickpea pastas! yes, i had major computer malfunctions. Ugh sorry! Lol sounds like my exact first go at gluten-free pasta, too…it all just broke and turned out super mooshy. I love that there are more gf options available now that aren’t corn-based. I’ve tried Chickpea Pasta and love it! Definitely great texture, and I love that it’s made with quality ingredients. This jalapeno mac is right up my alley! This looks so good and my husband and I love spicy food! I’d have to make two batches so they girls could get their mac n cheese fix. I’ve yet to try chickpea pasta but might have to breakdown and try it. Only 2 of us like chickpeas and the other two aren’t fans. Plus the hubby got a pasta roller so he is all about making his own pasta but I think I’ll have to sneak this in some weeknight. This recipe is GORGEOUS Lindsay!!! I definitely need to add it to my list of things to make – I still have a couple boxes of Chickapea kicking around and all I can say is that they definitely need to get covered in cheese and jalapenos! yay! let me know whatcha think Taylor! I’ve been eyeing those little chickpea shells in the supermarket. Guess now is a good time to try them. yes, i love roasting them with more spices! Not only is this gorgeous, but it sounds amazing! I love my chick pea pasta! Cotter Comeback 🙂 300 square feet! YIKES but Hawaii!!! Not a cheap place to live even back then! Delicious of course! I love me some chickpea pasta! This looks absolutely wonderful Lindsay!! 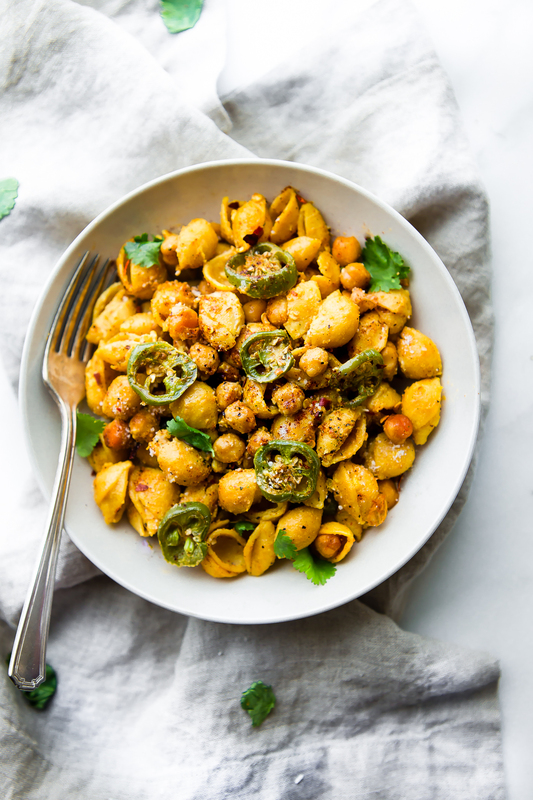 Love the heat with jalapenos with the chickpeas pasta !!! 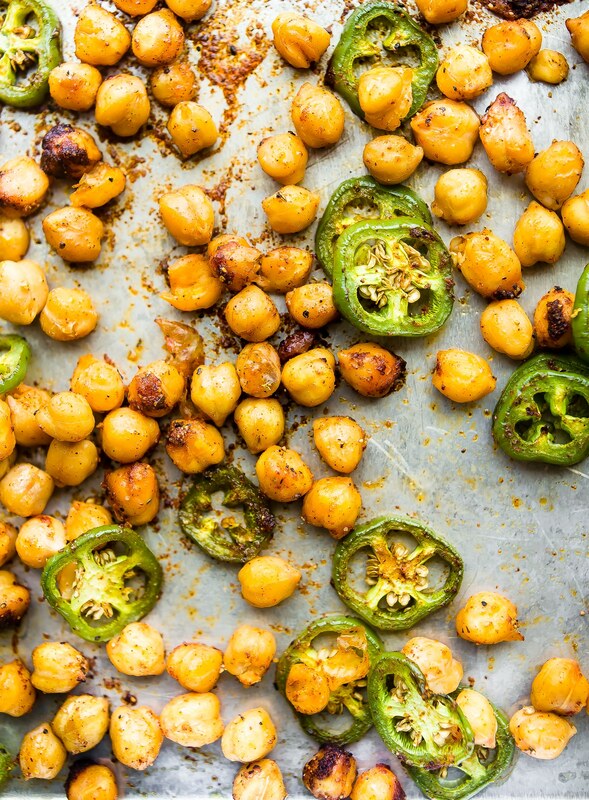 The roasted chickpeas and jalapenos are such a magic addition! This dish looks absolutely perfect… and love that mac n cheese can be so high in protein. i absolutely love this dish Lindsay! it’s absolutely beautiful. my son and his girlfriend are vegan and i’m really excited to make this for them. btw, like you, i’m a long time gluten free girl and i happen to think this is the best pasta ever! so glad!! let me know what they think! And yay for long time GF buds! I just made mac and cheese with jalapenos last night! But I was missing chickpeas- that sounds delicious! This looks sooo yummy! I love to have this for dinner tonight! What a gorgeous looking snd sounding meatless meal! Adding jalapenos is such a fun addition. Pretty sure you’re cooking for Vegas this week. She thinks Mac and cheese is a food group. No joke. Love this. Love the jalapeños. Love you. I think we all just need to move into the same neighborhood already. Cool? you and me both! SPICY! I want to face plant into that bowl! Serious comfort food upgrade you have going on here! I tried chickpea pasta once, but yours looks really yummy. I have to give it another shot with this recipe. I’m a sucker for pasta with a homemade vegan cheese sauce or pesto…add a bunch of veggies and I’m one happy girl! yea! let me know whatcha think. We liked it Lindsay. Jalapeno’s flavor was too good with this recipe. This sounds amazing. I can eat gluten and wheat but love to switch it up once and a while with chickpea pasta. Awww I love those memories! And yes, this dish definitely rocks! I am a spice wimp though…but I need to get my hands on some of this pasta! David has slowly been increasing his spice tolerance so I might actually be able to sneak this by him, though I’m pretty sure he would ask where’s the cheese…cause he’s like that. Oh my word that looks good. I would have never thought to put chickpeas in my mac. But you have me convinced and ready to make this. Spicy Mac N Cheese, heaven… same thing, really? This looks SO stinkin’ good!! I cannot wait to try it and see the looks of pure joy on my hubby’s face when he realizes it’s not velveeta 😉 Awesome post! oh it so will Julie! Wow your recipe (and photos) are on point!! This meal looks so flavorful and it’s great how it can be done in less than an hour! Thanks for sharing! Let me know if you try it Sharon! Mac and cheese with a kick, YUM! And I’m adding chickpea and lentil pasta to my shopping list. It sounds like something I have to try! OH YUM! I would even love to just eat those roasted chickpeas and jalapeño, that looks like a great snack too. I promised myself after this last race that I’d finally take the plunge from vegetarian to Vegan. This mac and cheese recipe is making me think the change won’t be so bad! awesome! let me know if you try it Heather! This sounds so good! And Chickapea pasta is my new fav. LOVE it!! Oh heck yeah! Delicious looking! Stunning and creative recipe Lindsay! So excited to see this pasta. The lentil pasta that I loved started cutting in brown rice flour and just wasn’t as good in my opinion. Beans make darn good pasta! What is this magic you’re serving? Oh, yum! 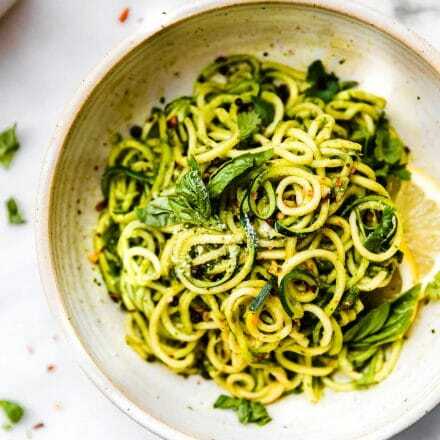 Thanks for the tip on the pasta, I’m looking to reduce my rice intake after recent reports of G free people having higher arsenic and mercury levels in their bodies than the general population. BTW, after going through some old boxes I just came across a welcome back Kotter poster that I had hanging in my room when I was a kid, it was signed by all the actors, back when John was super cute! OH good! I think you will really like this pasta then Kim! please do! It’s spicy, so keep me posted on the kids reactions. Oh no! So sorry Barry. I’ll make sure to share these tips in my recipe notes. This was tasty but a bit in the dry side. Oh I’m sorry! Did you make more more sauce? I put that in notes but I will test Again and update it. I think it also depends on the type of pasta you use. How much sauce did you end up using? Thanks! I’m so sorry to hear that Stevie. I’ve made this recipe several times and lots of people have given me great feedback. But i so appreciate your honesty and will look into the cashew cheese addition. I made this this weekend for myself and my boyfriend (non-vegan) and we both LOVED IT. I used a new cashew milk I saw at the grocery store that looked thicker than must non-dairy milks. I would double the jalapenos or add other veggies next time – maybe roasted red peppers. But it was great. And I was inspired to try making chickpeas from scratch for this recipe and those were delicious too in this. My boyfriend loved it – he wants it again! oh wonderful!! So glad. How was the sauce? I have been trying to make it more creamy but it always depends on the pasta you use. Glad it was boyfriend approved! woohoo! Yea! Can’t wait to see! 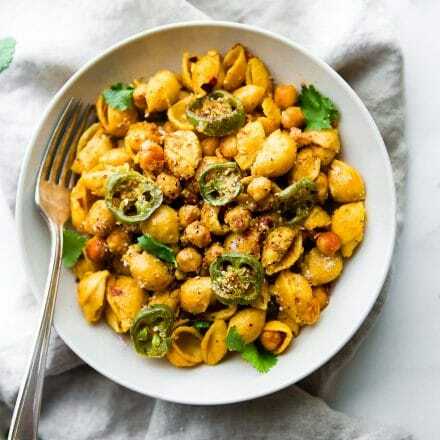 I wanna try these chickpea pasta! I try to have these ingredients readily available , this is now my go to comfort meal and I find myself making it quite often! I love the flavours! Thank you! I am so glad you like this one! It’s one of my favorites 🙂 Thank you! Absolutely phenomenal recipe, I’ve had it pinned to my vegan board and finally tried it, and will for sure be making this on a weekly basis. It’s so simple, tasty and nutritious! Thank you!